The Shave is complete! Read about the experience and check out the video from WRAL TV. Read about why I’m planning to shave my head on Aug 21st! As I have settled into Raleigh over the last four months, I have been pleasantly surprised at how easy it has been to slow down life. My fear in moving cross-country in search of a more simple existence was that we create our own hamster wheels on which to run. We are 100% responsible for our own speed, so why would I change as a person just by changing geography? It turns out, in my one-woman-perfectly-scientific-experiment, geography does indeed play a significant factor. My conclusion? There are simply more hours in the day in North Carolina. Okay, that may not be the scientific answer, but the pace of life would have you question it. Yes, we still work, groceries still have to be purchased and school supplies procured, but I'm not rushed. I have time to take the kids to the pool, or come home after school and just play. The culture isn't one of laziness, but it is one that appreciates the simplicity of enjoying where you are in the moment. I (typically!) don't feel like I'm doing one activity just to rush to the next and that is unbelievably refreshing. Could this mindset be transferred to San Francisco? Absolutely. But I don't think San Francisco envies this behavior, the same way Raleigh doesn't seem to envy the busy city life. They are exclusively wonderful in their own environments with neither being better or worse. As I edited the photo at the top of this page, I was reminded how much my artistic expression has expanded since moving here simply by giving myself the space to explore, to notice, and to experiment without feeling rushed or guilty that I should be doing something else. I'm not writing this to talk anyone into moving to Raleigh nor to suggest everyone else is going about life all wrong if your pace is faster than my own. I'm simply reflecting on how my life has become richer by slowing down and noticing what I desire for this chapter of life. I hope it inspires you to explore something you've been putting off, whether it be taking a class, playing a sport, building a fort with your kids or surprising your spouse with a spontaneous act of adoration. "You can work part-time and have part time care. You can work full-time and have full-time care. What you may not do is work full-time and have part-time care. You tried that and you landed yourself in a puddle of tears with a depleted system where you couldn't be there for anyone, including your kids." And she is right. I, like many working parents, want to be in all places at all times. I want to be the classroom volunteer and the afternoon playdate host and the "fun mommy"...but I also respect that this business is part of me. It is something that identifies who I am and helps me grow into who I want to be. Almost a year ago, I stopped working weekends. Almost 10 months into this change, I have to say it has been a game-changer for me. I have my life back. For this Fall, the biggest adjustment is that I have pre-scheduled three "workcations" for Sept, Oct and Nov. This is where I check into a hotel (I am currently writing this from Hotel Nikko in downtown SF...just 2.4 miles from my apartment...but a world away from my little bugaboos that require a lot more attention than I can offer at this moment. ), and edit my heart out. By being away from home and the studio, I am given the creative space needed to recharge, relax, and get...things...done! I am sharing this post because I know I'm not alone in feeling like the juggling act can be overwhelming at times. I am sharing this because, once I asked for what I needed to "fill my bucket", I was able to become refreshed and move forward with becoming my best self once again. I am sharing this so that other parents can have the idea that the "impossible" (checking into a hotel...in my own city...WHAT?!) can be possible if you look at it creatively and ask for help. So let's raise a glass to becoming our best selves, one day at a time. And when I finish my shoots on November 13th (yes, I extended it...I'm a softie that way! ), I look forward to delivering my final images for 2015 and providing the best captured memories of each and every one of your families. Thank you, from the bottom of my heart, for giving me this gift of letting me into your lives. Delivering galleries (and videos!) to my clients and receiving their reactions is the reason I do what I do. Your kids keep me fresh, keep me creative, and keep me striving to be better. 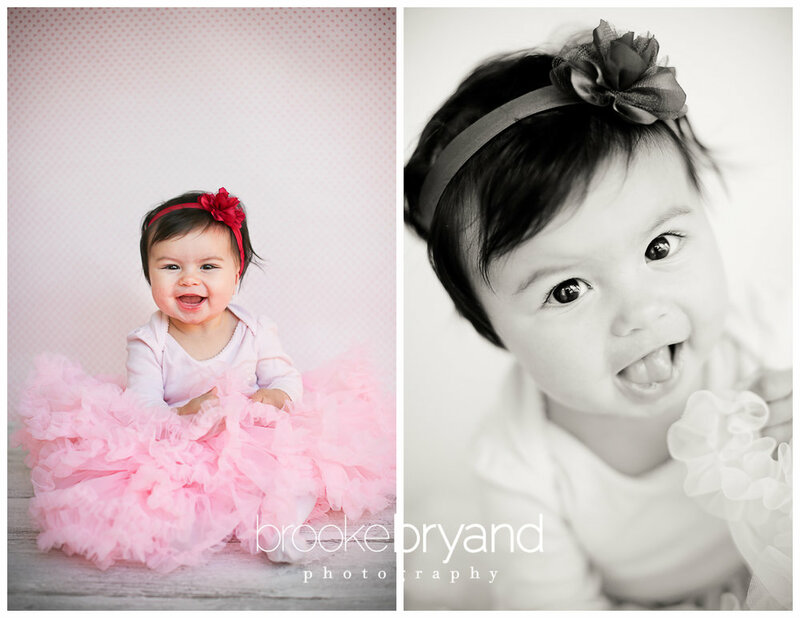 Yes, Lily is my very own babygirl... She turns 6 months next week and I just want to eat her up! I am of course completely unbiased, but she is such an easy baby that I can't help but boast as to how adorable, smiley, happy, wonderful she is. Every chubby inch of her! My hubby and I met when we were 19 years old at the beginning of our freshman year at Boston College. Yep, 19. I'm now 34 and still so completely head-over-heels in love with my hubby it makes my heart sing! Although I love being with Dave alone (we have a standing Saturday date-night that I look forward to all week), I also adore seeing him as a Dad. We have never been present-people. Or rather I should say we have never been purchased present people. When we were in college, we would make each other things for Christmas and take each other places for our birthdays. In fact, the first "big" trip I took Dave on was to none other than San Francisco! I think we were 20 years old when we flew here from Boston...I remember being a nervous wreck to ask his parents if we could go together (and I'm sure they giggled at my nerves). Anyways, I mention this because for Father's Day this year I decided to collaborate with our 2.5 year old son, Cal, to make something special for Daddy Dave. Enjoy!